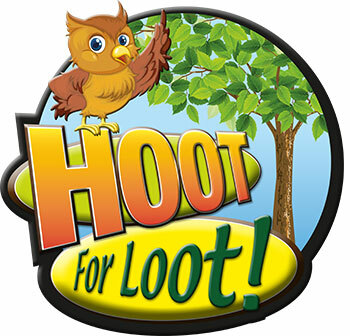 It’s a Wise Decision to keep ’em playing OWL NITE LONG! Great compressed tee shirt promotion. Players can earn a compressed tee via point totals set by the Player’s Club. Players unwrap the tee and the prize is revealed on the back of the insert. 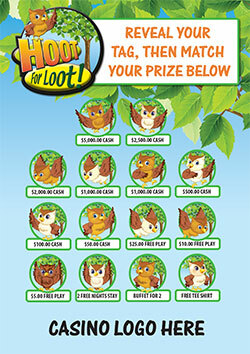 Players then match the prize tag against the prize board and claim their prizes! 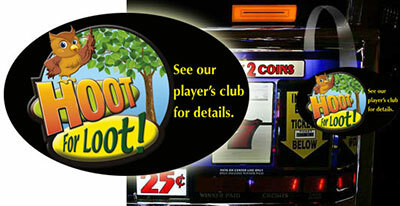 Prizes are determined by the Casino and can be free slot play, free buffet, free hotel, or cash! 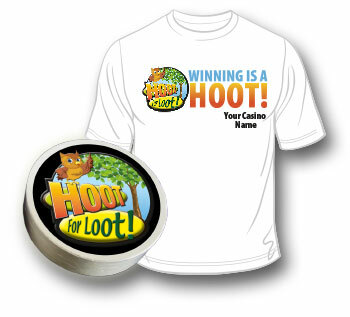 This is an entire TURNKEY promotion that includes all of the collateral you need to market this promotion: slot wobblers, employee buttons, and wall noodles!